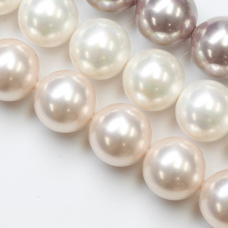 Classic majestic shell pearl which Sanwa offering are the finest quality from Japan. They are produced using the latest Japanese technology. The heart of the pearl has a shell nucleus. Chemical pearl liquid is coated onto the shell nucleus one layer at a time, until the coating has a “cultured pearl” appearance. 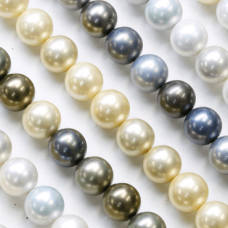 Sanwa offers Japanese shell pearl in two standards. “220” is the top quality shell pearl while “230” is those rejected from the top quality.